Happy day, Creative Scrappers! It's another exciting week around here! As you see in the previous post, the new Designers have been announced. Congratulations to these amazing scrapbookers! Our new sketch is a great one from Becky Fleck. Hope to see you try your hand at it! Kathy lives in Riverview, New Brunswick. Her two daughters, Emma (16) and Rebecca (14) appear (willingly or not!) on most of her scrapbooking pages! 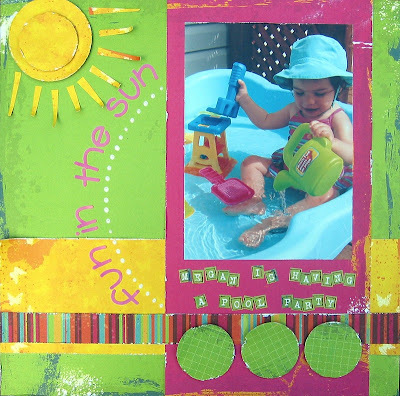 She is a Design Team Member and Contributing Writer for Canadian Scrapbooker Magazine, and is also on the design teams for American Crafts, Upsy Daisy Designs and Kelly Panacci. Her work has been published numerous times in Canadian Scrapbooker, Creating Keepsakes, Simple Scrapbooks, Memory Makers, Scrapbook and Cards Today, Scrapbook Trends, Paper Trends as well as several idea books. Her style is simple and photo focused. 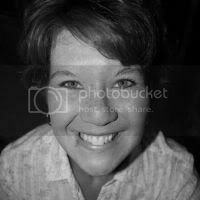 Kathy runs a small photography business and simply loves being behind the camera. You can see her work on her blog at www.kathythompsonlaffoley.typepad.com. Hi there!! I am so excited to be asked to be a guest designer here because there is nothing i love more than a great sketch for inspo! I love scrapbooking, it truly makes me happy and I have been going at it for a little over 3 years now. I live in Ontario with my little family, in my little house. I love getting inspired by all the layouts I see on the internet and from gals like you...I'm a compulsive scrap-lifter, but also very much addicted to my paints and my label buddy. I can't wait to see what you all do with this amazing sketch! Be sure to stop by the forum and check out all the fun happenings there. There are contests going on, including the "No Title Layout Contest" this week, and another 1-hour sketch contest coming up soon! look at me, i'm the first one! LOVE this fabulous sketch and everyone's layouts are beautiful! Can't wait to try this sketch! i'm a newbie here, hope to get to this one later this week!!! I just love this sketch!!! Hope to do this one later this week. Great layout by the design team!!! Love your sketch! And love this blog in general... I was tagged to list 7 blogs I really love and chose yours for one!